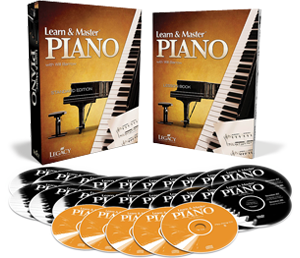 Are you and adult with a desire to play the piano? Or do you have a child and would like to know the steps to get them learning? What follows are some suggestions to send you on your way. If you just starting out, you will need acess to a keyboard or piano. Ideally one at home where you have easy access to play and practice every day. The quality of keyboards and pianos is excellent these days. If you are just beginning, don’t spend a fortune, just in case your desire dwindles. Saying that try to best quality with your budget – sounds obvious, but a bad instrument could deter your enthusiasm and even cause you to develop bad habits tecnically. If you are choosing keyboard, a full 88 key instrument is not necessary initially, but I would my advice is to upgrade further down the line. Keyboards from established brands such as Casio, Roland and Yamaha are reasonably priced and good value. If you are spending a little more and are looking at an electric piano, go for a fulls size 88 weighted keys. Most pianos simulate this effect these days. If you hit a key on an acoustic piano very gently, you wouldn’t hear a sound. As you hit the note harder, the sound will get louder. This is the physical action of the hammer hitting the strings within the piano. This is ideal for dynamics in music – the feeling and noise that comes from the instrument. This isn’t 100% necessary for beginners, but aim to have a weeighted keyboard or piano as soon as you can. If you’re lucky enough to buy or own an acoustic piano, this is a special thing to have in your home. They generally look and sound amazing. Sounds vary massively, so find a good shop to try one out. The second hand market is worth researching for both acoustic and electric pianos. Be prepared to have an acoustic piano regularly tuned though. Electric pianos and keyboards won’t require this. This is a personal choice, but electric pianos are quite realistic these days, they offer more sounds, some have Bluetooth technology for connecting to apps and quite importantLy when starting out, have a headphone jack. Once you have your keyboard or piano, you are generally all set, especially if you are taking private lessons. Your teacher will recommend some books to follow or provide their own curriculum. If you are learning on your own, you will need to purchase a book or course or have access to a computer or tablet to access courses on line as well as YouTube videos and the like. Other optional equipment include some recording equipment, to see how you sound. Most mobile phones offer some kind of recording voice messaging these days. I use garage band which, I hook up to my electric piano. I also own a digital interface which allows me to connect to my computer. Not necessary when starting out. It goes without saying that listening to music is essential to learning a new instrument, so access to your music near your piano could be worthwhile. Music streaming services are great these days for finding new music and accessing songs you may not have in your collection. What style do you want to play? Give some thought to your goals and styles you would like to follow? Children’s courses tend to follow a classical route, but this may not be your desire if you an adult? Maybe you are blues fan or want to be a jazz pianist? There’s no requirement to go down the traditional classical route as an adult. Remember learning anything takes commitment, so why start along a route you won’t enjoy? Bear in mind though, there are basics, like learning the notes, learning scales, learning chords and technical exercises etc. that are essential for understanding any style. You need to learn your major scale in order to understand the blues scale. You’ll need to learn a basic major chord before learning a extended jazz chord. Learn the basics well. Private Tuition or learning by yourself? This is a personal choice and both have their pros and cons. I’ve had both, but ive tended to favour learning courses on my own. It suits my lifestyle as I’m away from the house usually 12 hours a day and I have a family. A private tutor is excellent and there is nothing better than one to one tuition. The main challenge is to find a good teacher, who is trained and has a wealth of experience. There are some good websites out there for finding a local teacher. CCosts can vary a lot depending on the teacher’s reputation and credentials. It may be better for children to take private lessons, as they will soak up the information and techniques quickly. Ensure you are not forcing them to learn and they enjoy playing. Schools sometimes offer private music tuition. It’s not essential they take private lessons. Check out this video. I had classical lessons from a private teacher in her home. A lovely Australian lady, who showed me how much I rushed with things. A big lesson I never forgot. The only reason I stopped is that she moved back home from London to Australia. I never found a good local teacher near me after that. This was the mid 2000’s and as broadband was starting to improve at the time, online lessons and course packs started to explode. Books also flooded the market, some with added audio. Any of the courses I have reviewed on this site can benefit the beginner, but I would suggest some free lessons to begin with. There are plenty of Youtube videos to help, but if you would like to follow a free, small course, try these from Improv piano. Look out for a more detailed review of this free course and one of his paid course I have followed. I’ve mentioned Nikolas Nuñez on the site before. He’s an excellent teacher and very compassionate about the piano. So you have your keyboard or piano, you have a teacher or home study course or acces to YouTube videos, what’s next? The time and commitment to practice. Ideally every day, even if some sessions are for a few minutes. In my experience starting something new is exciting and my desire to learn is high at the beginning. As things get harder, and they will when playing the piano, my commitment can slow down. Ive been there. I made excuses, such as I’m too tired or too busy and end up being lazy and watch TV. This is quite common and it’s important to push through these times, especially at the early stages. Do I practice every day now? No i don’t, but early on during my playing days I did play as close to possible as every day. Playing the piano is a part mechanical process and some of the movments need to be repeated so they form a habit. Bottom line, try to practice as much as you can and push thorough those difficult times. So go ahead and tickle the ivories. Best of luck with your success. Check back here for more tips and reviews. Feel free to let me know how you are getting on.